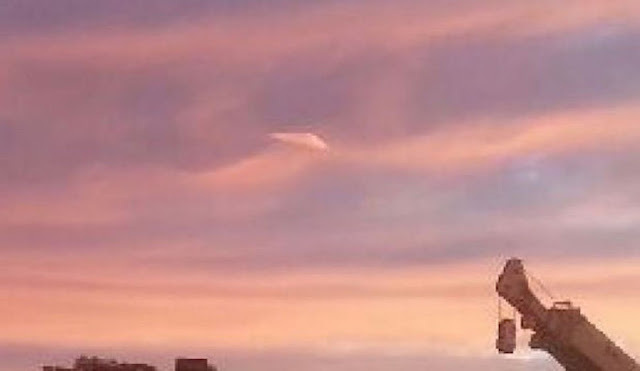 UFO SIGHTINGS DAILY: UFO Flying Over Australia At 6:30 AM Gives Locals A Fright, June 12, 2015, UFO Sighting News. 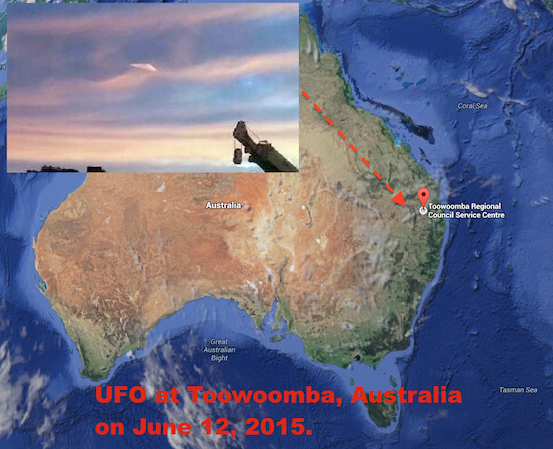 UFO Flying Over Australia At 6:30 AM Gives Locals A Fright, June 12, 2015, UFO Sighting News. Below, I altered the lighting and contrast a bit. 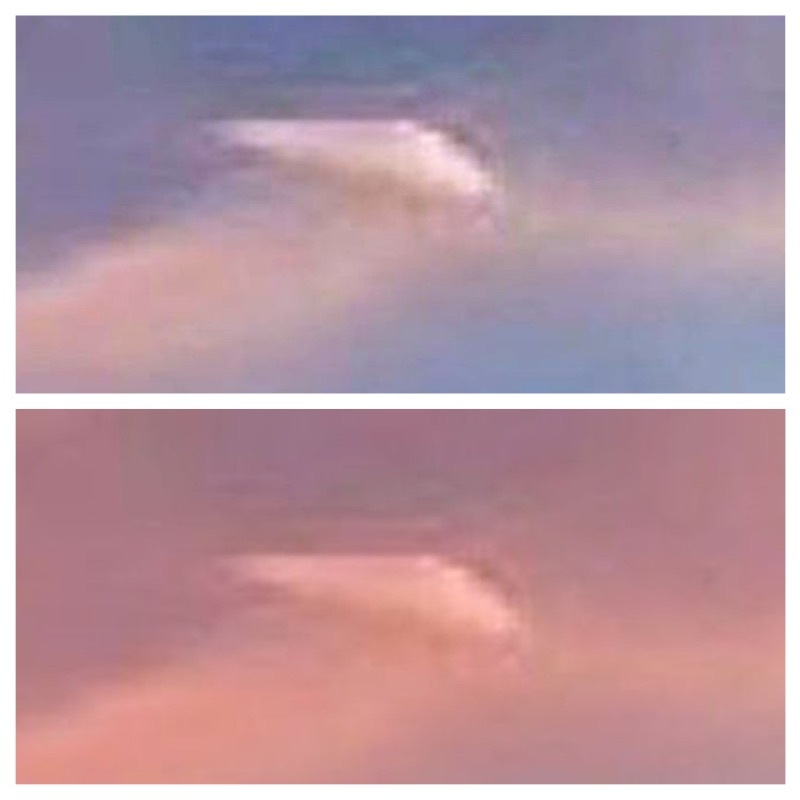 AN object the photographer believes to be a UFO was spotted flying over Oakey at 6.30am this morning. FieldQuip employee Greg Young decided to capture the beauty of the sunrise by taking a photo and it wasn't until he zoomed in on his iphone that he noticed the strange object. Mr Young said he looked back up at the sky and noticed the triangular object flying through the clouds followed by a dark blue trail. "It was all a bit weird because a few moments earlier me and my co-worker saw some bright flashing lights from the East and we couldn't work out what they were," Mr Young said. "Then we saw this thing and it just made for a really odd morning. "I don't believe in aliens or anything like that, but it definitely looked like something," he said. FieldQuip operations manager Darren Mauger said he did not believe in aliens but he was intrigued by the object. "I completely disbelieve in aliens and UFOs, but I did find it strange," Mr Mauger said. "Greg came in to show me the photo and by the time I went back outside it was gone. "He said it wasn't travelling very fast and was flying silently but it had disappeared within a minute," he said.